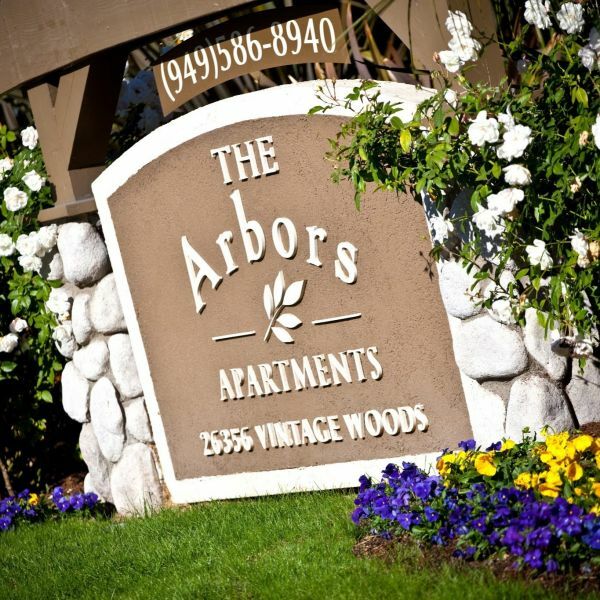 The Arbors Apartment Community - Life is waiting. Find your new home. Overlooking the prestigious apartment communities of Southern Orange County, The Arbors community of Lake Forest apartments offers breathtaking views and sparkling nightlights. Upgraded one and two bedroom apartments feature washers and dryers (in select apartments), dual master suites, dramatic vaulted ceilings, gourmet kitchens with stoves, dishwashers and microwaves, and central heating and air conditioning. Most apartments include garages, additional storage and expansive patios and decks. The Arbors apartments in Lake Forest feature lush landscaping, two swimming pools, three spas and two tennis courts. There's an e-business center and a movie theatre/media center with big screen TV. These pet friendly Lake Forest, CA apartments also feature a health and fitness center with a fully-equipped weight room, a yoga/pilates area and a children's play area.